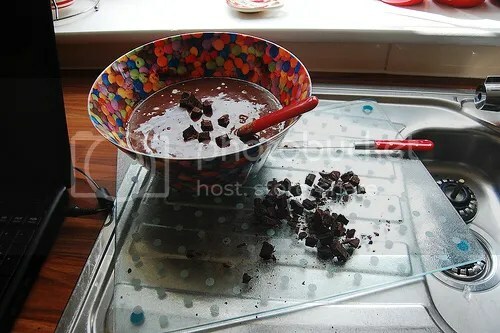 Glass trays don’t belong in an oven: chocolate brownies! I have come to the realisation that most, if not all, of the recipes I’ve placing here in my little treasure trove are all pegged to a certain distinct memory. I’ve had my fair share of baking mishaps happen as the rookie baker in me traverses this new world. My first (and only, thus far) attempt at baking brownies is one of those instances. In short, the glass tray stayed intact through numerous heating sessions (aka cupcake baking sessions). Since this brownie recipe calls for a longer baking time than the cupcakes, though… after I took out the brownies, I heard a super loud crack and it turns out the whole glass-outside-cools-down-faster-than-glass-inside-thus-glass-cracks phenomena had occurred. And part of the glass even fused to the surface of the microwave oven!!! Disaster all around. Moral of the story: never put anything you’re not actually using in the oven while baking – especially glassware!!! Alright, on to the more important stuff! 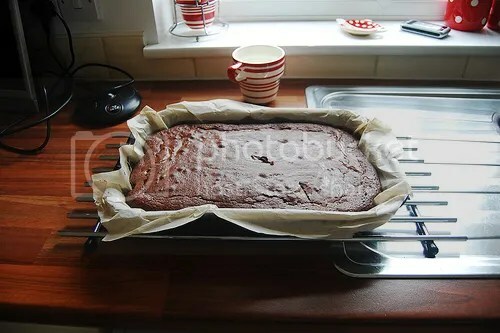 – a baking tray, lined with grease proof paper! 2. Put the eggs and sugar in a bowl and beat with an electric whiskwhisk, or, like me, a fork and a hell loada man power, until light and fluffy. 3. Add the sifted flour, and stir as you go. 4. 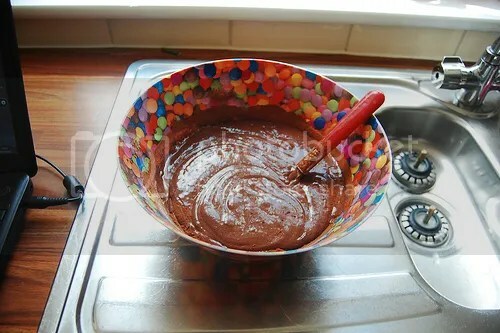 Followed by the cocoa powder, and beat until everything is well mixed. 5. Pour in the melted butter and mix through. When the butter is first poured in it seems impossible to stir it all in, but with some folding and immense stirring it will mix in- I promise! 6. 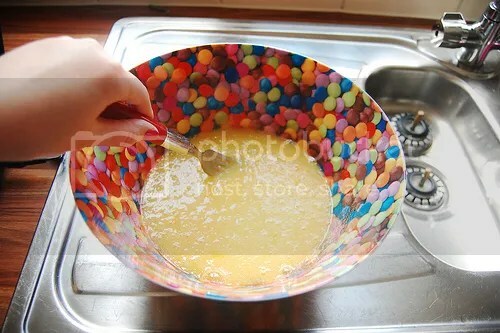 Chop your chocolate, and stir it in so they are ‘evenly dispersed’. 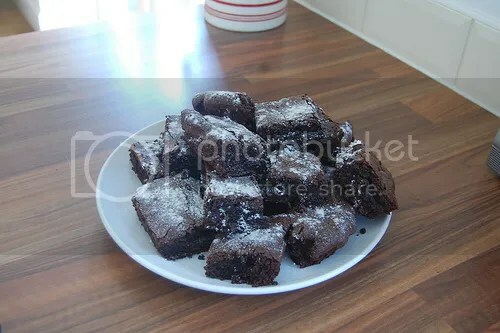 This entry was posted in Brownies, Chocolate, Tested. Bookmark the permalink.